Husband of Dora Garvagh (formerly Dimmer), of Ashby Hall, Lincoln. MASONIC HERO- LT. COL. JHS DIMMER, VC, MC This paper illustrates the short but very heroic life of an Englishman who was an Irish Mason and Hero of the First World War. Jack Dimmer's early life, his military and importantly his Masonic career is highlighted, as is his most heroic conduct, which earned both the Victoria and Military Crosses. Sadly Jack Dimmer was to be killed within months of the end of the First World War and so passed into history the life of an exceptional Mason. JHS Dimmer known by his family as Jack, was one of four sons of John Dimmer, a railway worker. He was born at 37 Gloster St South Lambeth on 9th Oct 1883 and spent his boyhood in Wimbledon living at No 55a Griffith's Road, now a block of flats. He attended the local elementary school in Melrose Rd, Merton, Surrey. At the age of 13 with the aid of a scholarship he went to Rutlish Science School, also in Merton. When Dimmer left school at the age of fifteen he worked briefly in an Engineer�s Office, but had a hankering for the military life. Jack Dimmer was initially to serve with the Kings Royal Rifle Corps. In 1900-1 he joined the 1st Cadet Battalion of the KRRC Militia and was made a Sergeant when still only seventeen years old. In 1902 he joined the regular battalion of the KRRC and won prizes for drill and shooting and for other military work. He was made a Lance Corporal. In the autumn of that year he joined the 4th Battalion in South Africa where he served until 1904. He became a Corporal following reconnaissance work in the Orange River Colony. Later he was promoted to Lance-Sergeant for scouting and signalling in the Mounted Infantry serving at one time on Salisbury Plain in Wiltshire. General Sir Ian Hamilton commended him for military sketching and for some time he served as an instructor to NCOs. In 1906 at his own expense, he visited Belgium and Germany to study their military systems. The following year he carried out some intelligence work and was thanked by the Army Council for this. He attended the School of Signalling and passed out the top of his class subsequently becoming a Sergeant Instructor. His duties and responsibilities at this time seemed to be those more associated with the rank of a commissioned officer. At the end of 1906 he attended an officers examination and passed with high marks. In 1907 he obtained a first class Army School certificate but it was not until January 1908 that he was finally recommended for a commission by Lord Methuen. This delay may have been caused by his background. The KRRC was second only to the Guards in terms of class-consciousness. During the next few years Dimmer did �special work� in Africa serving with colonial troops. He came home on leave on 1st May 1914 and was called up over the August Bank holiday, on the outbreak of the First World War. In 1914 he had twelve years service, six as an officer, was already 31 years of age and was to see more active military service in the Kings Royal Rifle Corps from which he would be attached to other regiments as the conflict progressed. He joined the Kings Royal Rifle Corps Reg No. 329 and was gazetted on 19th November. JOHN DIMMER IN THE FIRST WORLD WAR 1st Division - On the outbreak of war the units that made up this division were the 1st (Guards), 2nd and 3rd Brigades. The Guards brigade only had two guards units in it and the infantry units that made up the rest of the division were drawn from a wide variety of regiments. Units from the division began landing in France around 12th August 1914, but did not take part in the fighting for Mons. However, during the Retreat From Mons, our own 2nd Royal Munster Fusiliers fought a famous and gallant action at Etreux on 27th August, when this battalion was all but wiped out in holding up a German force many times its size. One of the few divisions to actually fight in the Battle of the Marne, the 2nd Royal Sussex and 1st Loyals engaged the Germans at Priez. Following fighting on the Aisne in September, the division moved to Flanders for First Ypres, and was heavily involved in the Battle of Langemarck, at Gheluvelt (where the South Wales Borderers fought a famous action at the Chateau) and at Nonne Boschen during October/November. At the end of 1914, 1st Division moved down to the La Bassee front and took over the trenches at the Cuinchy Brickstacks As the Prussian Guard advanced in massed formation from the cover of a wood at Klein Zillebeke on 12th November 1914, the British machine-guns mowed them down with a storm of bullets. But the gun, which Lieutenant John Henry Stephen Dimmer, of 2nd Battalion King's Royal Rifle Corps, was working, suddenly jammed. With great bravery he climbed onto the emplacement to put it in order, and while doing so a rifle bullet struck him in the jaw. He continued, however, to work the gun until it jammed once more, and while putting it in order he was hit in the shoulder. After again getting the gun to work, three shrapnel bullets struck his injured shoulder, but he most gallantly continued working it until it was destroyed by shell-fire. His magnificent courage and tenacity were awarded with the Victoria Cross. The citation reads On 12th November 1914 at Klein Zillebeke, Belgium, Lieutenant Dimmer went on serving his machine gun during an attack, and stayed at his post until the gun was destroyed, in spite of being shot five times. Lieutenant- Colonel Dimmer also won the Military Cross. 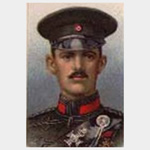 He was awarded the MC for action one month earlier for devotion to duty between 29th and 31st October 1914 and for gallantry displayed on many occasions. He was later promoted through the junior officer ranks and was appointed a Lt. Colonel in the 2nd Battalion King's Royal Rifle Corps. Dimmer like many other VC holders became a temporary national hero. In August 1918 he had married the daughter of a carpet millionaire a Miss Mary Bayley Parker. She afterwards married the 4th Baron Garvagh and died as recently as 1982. John Dimmer also had membership of two Irish Masonic Lodges: 1 1st Battalion West Indian Regiment Lodge No 390 2 West African Regiment Lodge No 157 1st Battalion West India Regiment Lodge No 390 The name John Henry Stephen Dimmer was placed on the books of Lodge 390, South Carolina, West India Regiment on 8th August 1908, for the usual period previous to ballot. He was entered an Entered Appretice on 20th August 1908, passed to the Fellow Craft Degree on 9th September and raised to the third or sublime degree of Master Mason on 7th October 1908. In March 1927 the West India Regiment was disbanded and the Warrant surrendered to Grand Lodge. Sixty-four members served in the 1914-18 War and Bros. Lieut. H. W. Coneybeare, Lincoln Regt., Lt. Col. J.H.S. Dimmer, VC., K.R.R. & W.A. Regt., J.F. Drayton, R.A.O.C., Capt. A.C. Hyde, W.I. Regt., Capt. L.J. Jones, W.I. Regt., Capt. T.H. Mills DSO., E. Yorks. Capt. J.C. Richardson, DCM, W.A. Regt., E.A. Siddle, Canadians and Major H. W. Thelwal l, W.I. Regt. made the supreme sacrifice. West African Regiment Lodge No 157. In the history of this Lodge Jack Dimmer was a founding member on 2nd October 1908, he was at this stage a Fellow Craft of Lodge 390. One hundred and five members served in the 1914-18 War and Bros. Lieut. F. Andrew, G. Beaton, Capt. J. Bremner, L. Canton, Lt. Col. J.H.S. Dinner, VC., H. McGuirk, Capt. T.H. Mills, DSO., Capt. H.M. Powell, Capt. J.C. Richardson, DCM.. Lieut. ,T.H. Rigby, G.F. Stevens and Major W.F. Williams made the supreme sacrifice. THE DEATH OF BRO LT COL DIMMER VC, MC REGIMENTAL OBITUARY IN THE KRRC CRONICLE CAPT. (TEMP. LIEUT.-COLONEL) JOHN HENRY STEPHEN DIMMER, V.C., M.C. Possessed of all the qualities that go to the making of a successful soldier, it only required the upheaval of the present war to bring a man like Capt. Dimmer, V.C., to the top. Born in 1884, he started life as a Civil Engineer in 1901, and after passing through a Cadet Battalion enlisted in the Regiment in 1902, and served with the 4th Battalion in South Africa. In 1906 he was sent to Belgium and Germany to study the military methods of their armies, and in 1908, on the recom�mendation of Lord Methuen, was given a commission in the Regiment. He then went to the West African Regiment, where he served for six years, being promoted Captain. Returning from West Africa at the outbreak of the present war he joined the 2nd Battalion, and was brought into considerable prominence by his gallant conduct on November 12th, 1914, at Klein Zillebeke, when he was mentioned in Despatches and awarded the Victoria Cross. The text in the London Gazette stated:�" This officer served his machine gun during the attack on November 12th until he had been wounded five times, and continued at his post until his gun was destroyed." On recovering from his wounds he was appointed Brigade Major to the 92nd Brigade, and was awarded the Military Cross for devotion to duty between October 29th and October 31st. 1914, and " for gallantry displayed on many occasions." On relinquishing his Staff appointment he was ordered to join the 3rd Battalion in Salonika, being appointed Brigade Machine Gun Officer to the 10th Division. Though suffering from malaria he refused to go home, and then joined the Salonika Flying Corps and obtained his Observer's Certificate. His health then broke down and he was invalided to England. In February. 1917, he again joined the 2nd Battalion, but contracting septic poisoning he was brought home. On recovering he was appointed to command the 2/4th Battalion of the Royal Berkshire Regi�ment, and during the latter phases of the Battle of Cambrai was in command of the storming detachment attached to the Guards. For his work on this occasion he was congratulated by the Divisional and Brigade Commanders. He fell whilst leading his Battalion on March 21st at the commencement of the great German offensive 1918, at Marteville, north-west of' St. Quentin, being shot through the head in the act of ordering his men to charge. Dimmer mounted a white charger during the fighting � somewhat conspicuous on the battlefield � and was killed shortly afterwards. Buried by the Germans, his grave was recovered from an isolated spot on the battlefield after the war. Although swept with a torrent of machine�gun fire his Battalion, thanks to Dimmer's splendid example, stood their ground magnificently, and only gave way when ordered to retire and cover the retirement of the Brigade, which task they heroically fulfilled for four days. An officer of his Battalion writes: -"The Colonel was like a father to us, we all had implicit faith in him, and loved him dearly." Captain Dimmer's chief characteristics were energy, a natural ability for military work, and ambition. These qualities com�bined assisted him in his rapid promotion, which was thoroughly deserved. His gallantry was unsurpassed. After her husband�s death Mrs. Dimmer married an Irish Peer, Lord Garvagh at St Matthew�s Church Bayswater London on New Year�s Day 1919. After the War the local Council at Wimbledon discussed erecting a suitable memorial to Dimmer�s memory. His mother however was invited to lay one of the wreaths at the unveiling of the Wimbledon war memorial. Jack Dimmer had been offered the freedom of the Borough of Wimbledon in April 1915 but modestly declined the offer in a letter published in the Suffolk and Essex Free Press; "Whilst I appreciate the great honour, I beg to decline the same. Too much publicity has been given my name already, and has caused me a great deal of worry and annoyance. To accept the freedom would only bring further publicity and such is not in accordance with the traditions of the service". When Dimmer had been referring to the publicity he had already received he was taking into account occasions like the visit to Harrow School with Brigadier-General Colomb to inspect and take the March Past at the School's Officers' Training Corps. Jack Dimmer is remembered on the above headstone, on the Royal Rifle Corps Memorial, Winchester Cathedral and in the civic offices of the London Borough of Morden in an official block called Crown House. In 1997 Merton's only recipient of the Victoria Cross has been honoured 83 years after he received the medal. Relatives of Col Jack Dimmer saw a plaque unveiled in his memory by the Mayor of Merton, Councillor Sheila Knight, at the Civic Centre in Morden. He received the VC for his actions on November 12, 1914 near Klein Zillebeke in Belgium. Despite being shot and wounded five times, he stayed at the controls of a machine gun and is credited with saving many British lives. His nephew, surveyor Ronald Dimmer, 81, said: "He was not a man who would boast about his achievements, but what he did was remarkable. He should be remembered." He received the VC from King George V at Buckingham Palace. The medal is at the headquarters of Col Dimmer's old regiment, the Royal Green Jackets. A guard of honour from the regiment attended the ceremony. Lt Col Michael Smith, 44, said: "It took me 24 years to become a lieutenant colonel, whereas it only took Mr Dimmer four." The plaque was discovered in the Civic Centre's basement in November 1997. A council spokesman said: "It went missing a few years ago when the Civic Centre was rebuilt. We felt it should be put in a place of honour." The plaque was originally unveiled in the building in 1985 after the then council leader Harry Cowd found out about the hero. In 1919 the council decided to erect a memorial to Col Dimmer but gave the task to a committee, which never reached a decision. Col Dimmer died in action when shot in the head by a sniper near St Quentin, France in 1918, aged 35. 21 March - 4 July 1918. The Battles of the Somme in 1918 were mostly concerned with stemming the German advance which started in March 1918 and which made considerable gains in the Somme/Arras sector. Utilising surplus troops which had become available following the surrender of Russia after the October Revolution, the Germans gambled on a massive campaign that could win the war in the west before the USA could bring its resources to bear. Initial gains were in places spectacular but eventually dogged resistance coupled with supply problems and sheer exhaustion closed down the battle. Other attacks were launched along the front to probe the Allied defences but the same pattern of initial gains followed by stalemate prevailed. British casualties were almost 345,000.